Was travelling on a motorbike in South India when I came across this fantastic local festival in the middle of nowhere. 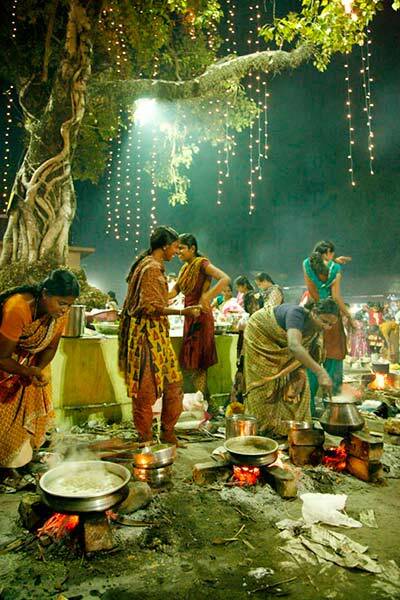 Pongala is a Hindu religious festival. The name ‘Pongala’ means ‘to boil over’ and refers to the ritualistic offering of porridge made of rice, sweet brown molasses, coconut gratings, nuts and raisins. Generally women devotees participate in this ritual.